Angular cocktail table supplies style and convenience with a pristine white gloss finish and a lift top with ample storage beneath. 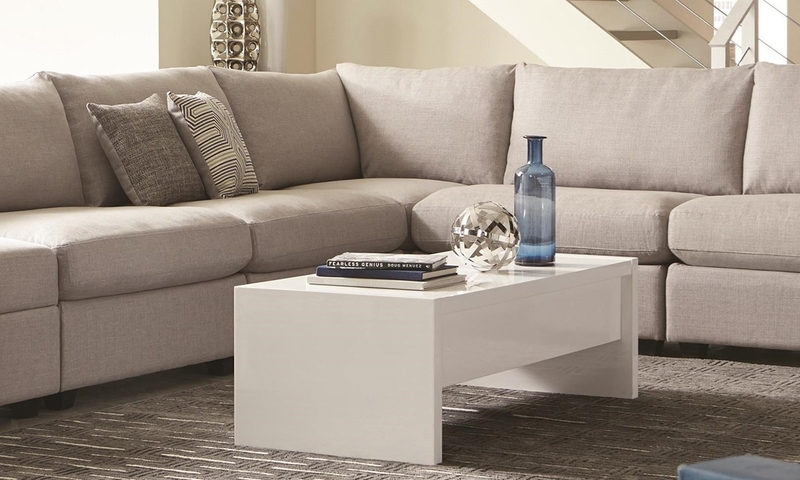 Brighten your living room with the sleek look of this contemporary lift top cocktail table from Scott Living. The minimalist silhouette of this piece opens up to provide a convenient place to eat, work and more from your sofa, while also revealing storage space beneath for remotes and magazines. A glossy white finish makes this cocktail table an easy addition to any décor.